Experiencing a meteoric rise towards the end of the Noughties that saw them touring the world with the likes of Avenged Sevenfold, Papa Roach and Escape The Fate and being heralded as a festival headliner of the future, GLAMOUR OF THE KILL’s rock n’ roll excesses eventually caught up with them, causing their implosion. Having been on hiatus for four years, GLAMOUR OF THE KILL decided to restart the engines in November 2018, unable to ignore the itch of playing again that was screaming to be scratched. Without much in the way of expectations other than a hope some people would turn up to their first shows in nearly half a decade, the band booked a handful of gigs, eager to return to the stage. What they did not expect was such a frenzied demand, with all three UK shows selling out including London’s legendary 500 capacity Underworld venue. 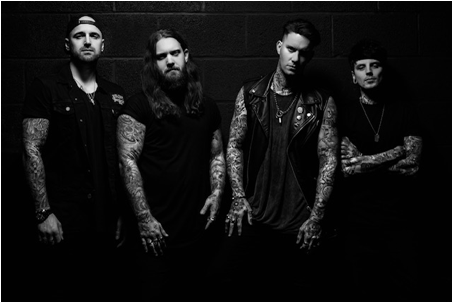 Not wanting to take their foot off the gas, the band decided to keep things going with single ‘Fire Fight’ and announced a new album, “Resurrection” which has been teased for release in spring 2019. Taking inspiration from NWOBHM dynasties such as Iron Maiden as well as modern metal titans Bullet For My Valentine and Trivium, GLAMOUR OF THE KILL are once again raising the bar for commercial heavy metal, one shredding guitar solo at a time. 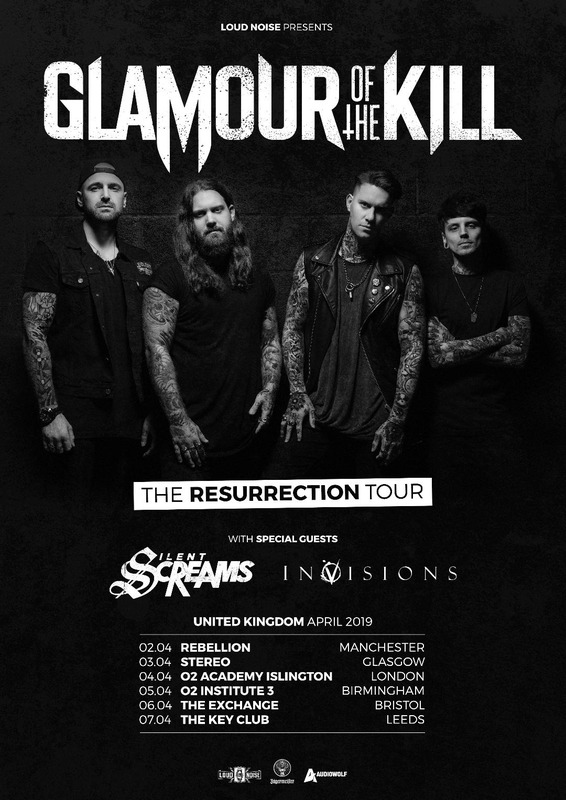 The band will be hitting up venues up and down the UK this coming April, with support from Silent Screams and InVisions. Tickets go on sale on Wednesday 16 January at 9AM via regular ticket vendors.